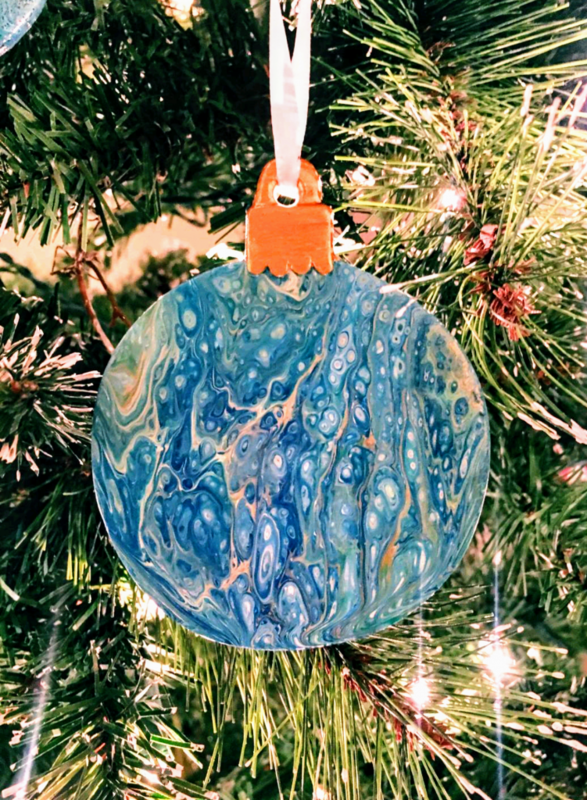 Come explore painting without a brush and create your own beautiful holiday ornaments! Fluid Painting is a type of abstract art that uses acrylic paints mixed with different pouring mediums to create a fluid, flowing consistency. The acrylic paints react with each other when combined to create extraordinary patterns and designs. Each student will complete three ornaments in the class and bring home their pieces after the class. Children under the age of 12 must be accompanied by a paid adult and children must be above 7 years old. Please buy one ticket for each project you wish to make and buy a companion ticket for anyone who is accompanying but not making a project. Everyone in the classroom must have a ticket.